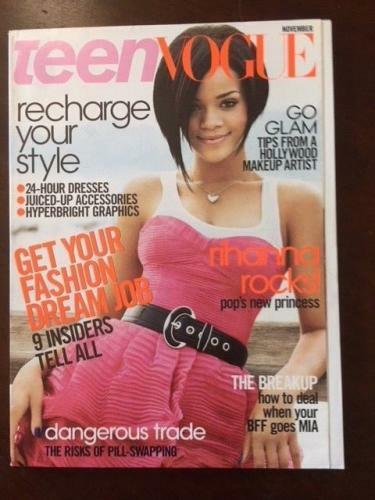 2011, Rihanna, "Esquire" Magazine (No Label) Early Cover!! Rihanna may very well be the most famous person on the planet today. She is an international pop star who has now expanded her empire into acting. Since releasing her first album Music of the Sun which contained the hit single “Pon de Replay” she has emerged as one of the top-selling artists of all-time, with estimates placing her sales in the hundreds of millions. In 2013 she received the first-ever American Music Award for Icon for her incredible influence on pop music. With numerous hit albums such as Good Girl Gone Bad, Rated R, Talk That Talk, and more, it is no wonder why she has sold so many albums across the world. Singles such as “Umbrella”, “Rude Boy”, “What’s My Name?”, and “Work” has become a soundtrack for millions of people’s lives all over the world. Rihanna has also won many Grammy Awards throughout her career and is widely considered one of the most influential artists of her generation. She has now branched out into acting starring in the films Battleship, Valerian and the City of a Thousand Planets, and Ocean’s 8. 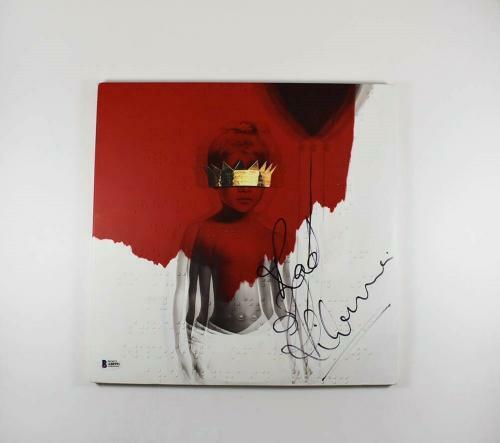 Autographed Rihanna memorabilia will look unbelievable displayed anywhere in your home, office, or man cave. The collectibles that we sell for this Grammy Award winner are rare and unique items that are always guaranteed to be 100% authentic. 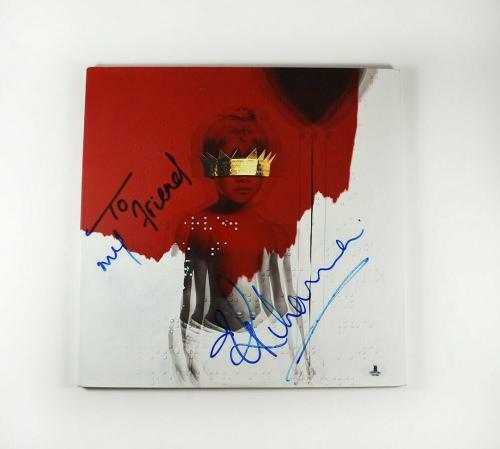 Our signed Rihanna product offerings are valuable investments that will surge in worth in the future. 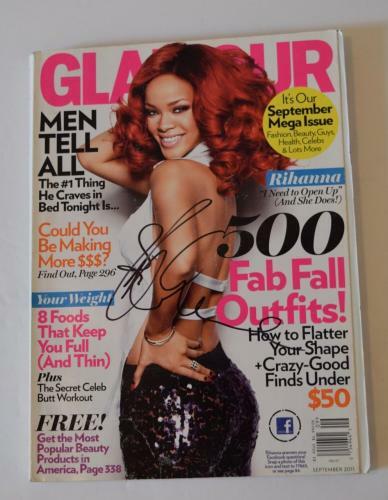 Rihanna Autographed Photos: Purchasing a signed Rihanna photo will never be a decision that you regret making. 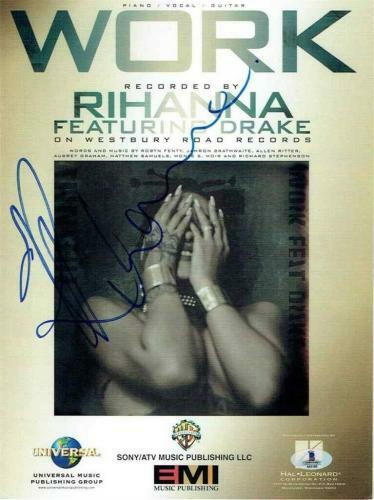 A Rihanna autographed photo of her performing on stage in front of her fans is going to quickly become one of your most prized possessions in your memorabilia collection. Our photos are rare and unique pieces of memorabilia that will likely not be found at other retailers.